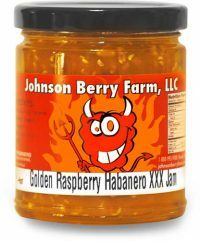 A wonderful raspberry start with a smooth ending that warms the tongue. 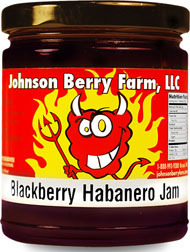 Delicious and beautiful jam. 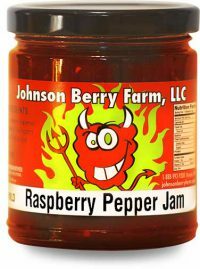 Very popular….great Raspberry flavor that everyone loves. Not too warm, but just right! 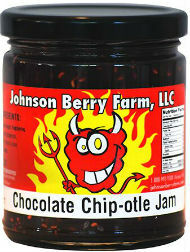 We take this variety to our friend’s parties and they are always a hit. Take a block of cream cheese and pour this over the top, use your favorite crackers and watch it disappear. 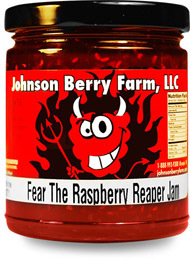 Of our pepper jams this one is considered MILD.